2012 was an amazing year for link building, a lot changed and to be honest I’m glad those changes happened. I think it is necessary in order for our industry to grow up and be taken more seriously in the marketing space. A lot of us add a huge amount of value to businesses, it’s time we were recognised for that rather than relying on and being remembered for low quality tactics that should never have worked in the first place. The first step for many is to undo the work previously done and this starts with finding the low quality links that may have been built many years ago. If you’ve been hit by a penalty, then you’ll also probably want to get them removed. This post is a step-by-step guide to finding what are likely to be low quality links. This post will use a number of tools to help, however you need to use your own judgement and common sense too and not remove links which are clearly not hurting. I heard stories of people emailing Yoast to remove links from his site – that is just crazy. You will need to download two types of links – linking domains and individual links. 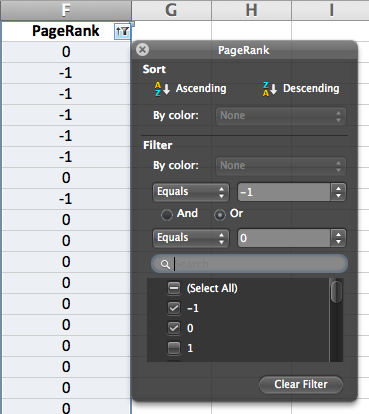 You can either add more sheets for these or do the analysis for each type in a totally different spreadsheet. To keep things simple for now, I’m going to create a new spreadsheet for my linking domains. 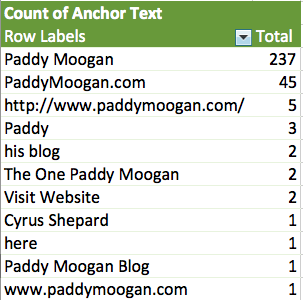 As I said, you can use whichever metrics you prefer, the key is to be consistent across all of your links. Again just to reiterate, this is just my personal preference. If you prefer to use these metrics, by all means keep them! These tools are amazing. It may take some time to pull in the metrics you need, but at the end of this step you should have a sheet that lists every single link you know about along with the key metrics that you want to use to measure their quality. You can do this with a simple pivot table, here is a video of the process from Richard Baxter here which is very handy for reference. He also wrote a great post on pivot tables and Excel here. Not all site wide links hurt you, they are a normal way of the web if you imagine blogroll links. However the combination of site wide links and a low quality linking domain is a bad one when it comes to SEO. So now we need to find our sitewide links and cross reference them with the quality of the domain. 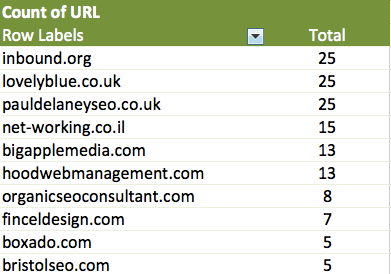 If we find sitewide links from low quality domains, then those should be prioritised in our link removal. 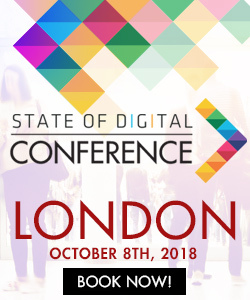 The advantage to prioritising these also lies in the fact that you only need to contact one website owner to get many links taken down at the same time, so it can be a lot more efficient. The data above comes from the backlink profile of my own blog, so as a sense check I wouldn’t worry about removing links from these sites 🙂 You will need to check the PageRank of these domains and if they are 0 or -1, then they should be prioritised for removal. I’ve always struggled with anchor text as a signal, it just isn’t natural at all for a site to have lots of commercial anchor text in their link profile, yet Google value it so highly. Anyway… this is one of the easiest ways Google can deem your website to be over-optimised. As with the previous point on sitewide links, I’d advise a bit of caution because having commercial anchor text isn’t neccessarily a bad thing. But having way too much of it or having it coming from lots of low quality websites is. Again, the anchor text pointing at my own site looks pretty good and if this is the case, don’t worry too much. However if your top anchor text is made up of pretty much all commercial anchor text and no branded at all, then you should take a closer look at those links. If they also prove to be low quality, these should be prioritised for removal too. All of these alone should give you plenty to focus on and to remove lots of low quality links. Remember to sense check your list first to make sure you’ve got no false positives in your list and accidently removing good links! Nice documentation and ease of research I will be taking these tactics into consideration. One of the issues with the sitewide links however is that that they could be bringing in loads of traffic. So now we move into the high traffic vs low quality links. Obviously we would remove these last and do research before to see if it is worth removing them. At this time i believe the #1 target for removal is these site wide links. Its a great guide.Thanks for sharing. 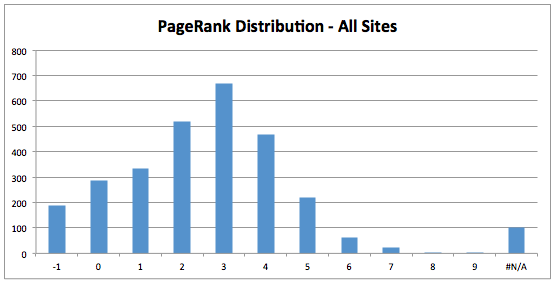 This is a great guide to act as a starting point for backlink analysis and removal. It’s also worth mentioning that you should check your referring IP addresses as well as referring domains. Often with low-value backlinks, you can find that the same IP address is hosting five or six different spammy sites. Google sees multiple domains from a single domain referring a number of links as unnatural and these should be reviewed as a priority. That’s a great tip Emma. Thank you! Pingback: Google Raters – Who Are They? trying to figure it out – this helps. 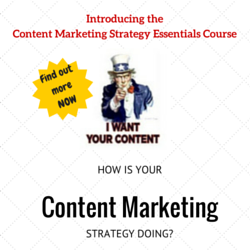 Do you prepare this for your clients? Nice and veryhelpful tips. I found a lot of info about low quality links, but this article is the most detailed. I will read more about it.